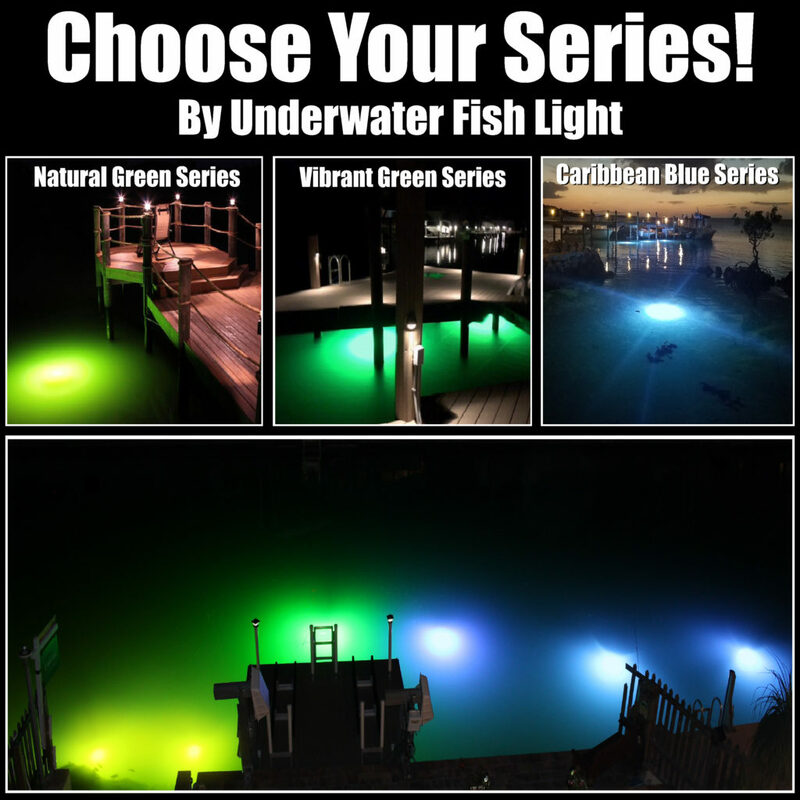 Here at Underwater Fish Light, we have four color choices to choose from! We have our Classic Series, which is a 175 watt bulb. We also have the Extra Bright Series that is equipped with 250 watt bulb. Our Extra Bright Series sports three different colors; Vibrant Green, Extra Bright, and Caribbean Blue! Both Series work great, but choosing the color all depends on your water clarity. If you have murky water, your best choice would be to go with the Extra Bright Series. If your water is more clear, the Classic Series will work great! Our Caribbean Blue lights will only work in crystal clear water. If your are unsure if the Caribbean Blue is right for you, just give us a call at 855-347-4544 and we will be happy to help you! Our Classic Series has one featured color! 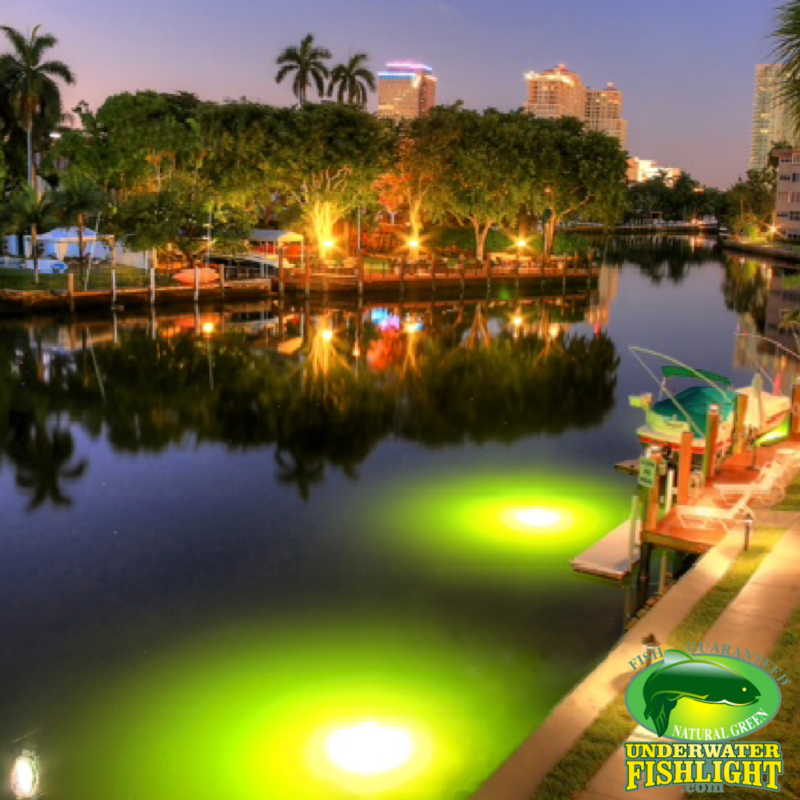 The Classic Natural Green System’s 175 watt bulb illuminates and reflects off your waterway’s natural coloring. 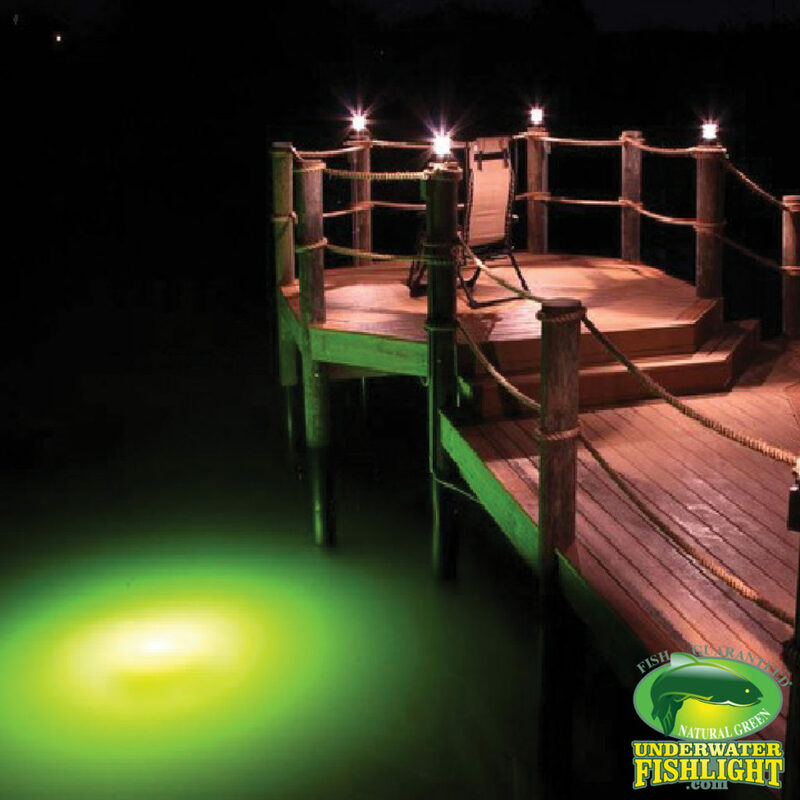 This reflection will create a beautiful light green color, that is guaranteed to attract fish! The Classic Series is what made our company famous. When we started our business over a decade ago, this was the only color we offered. As we have evolved, the reliability and functionality of this great system hasn’t changed! Our Extra Bright Series sports three different colors! Our Extra Bright Series is 50% brighter than our Classic Series! 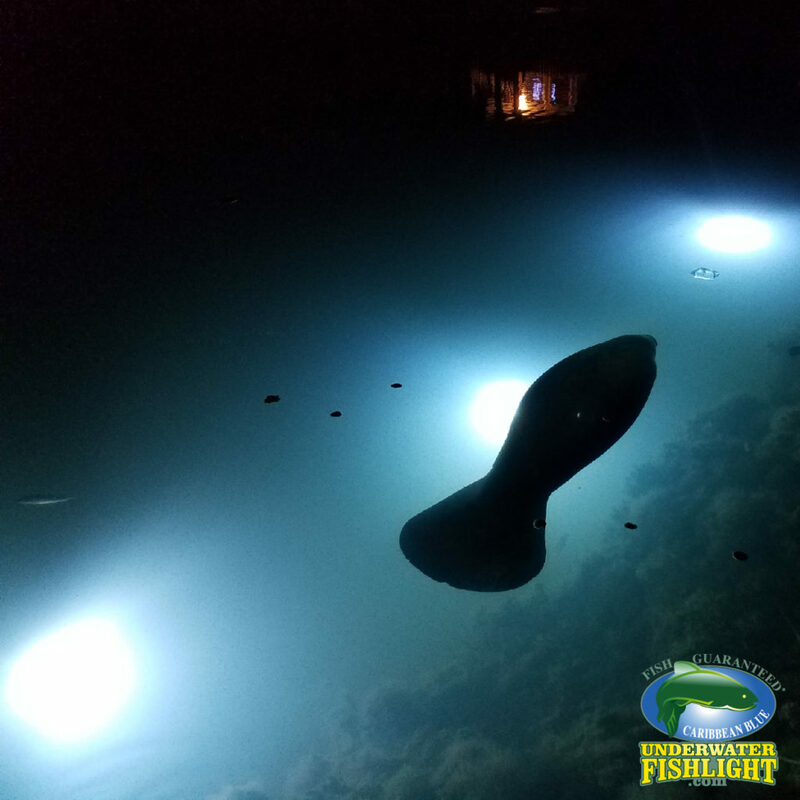 All three colors are equipped with a 250 watt bulb and will attract an amazing amount of fish! 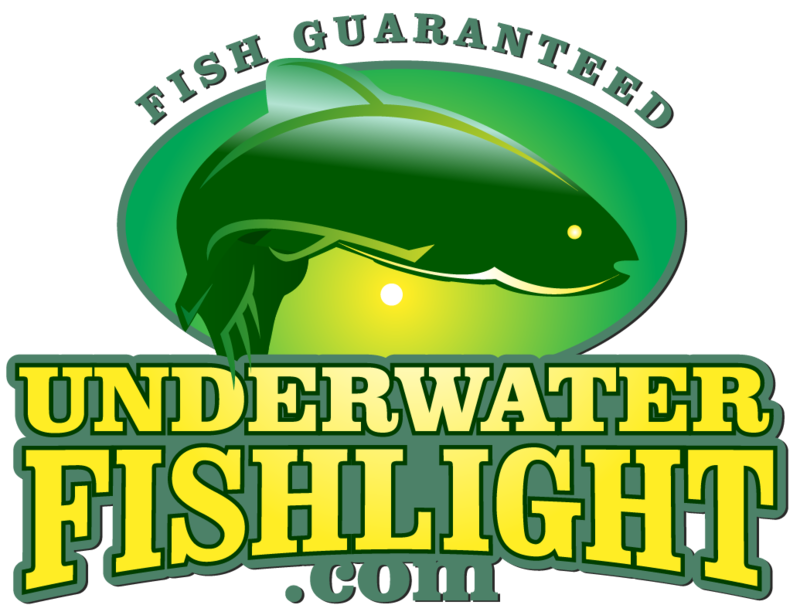 Whether you choose the Natural Green, Vibrant Green, or Caribbean Blue, the fish and your satisfaction are guaranteed! Our Natural Green Systems have the same beautiful color as our Classic Series, but they are 50% brighter! 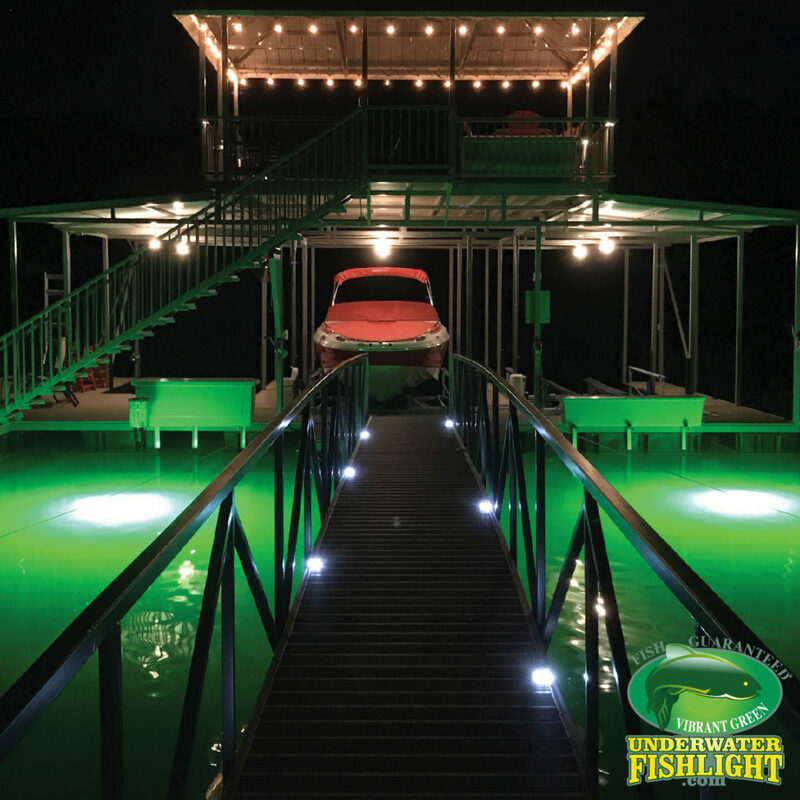 The Vibrant Green Systems illuminate a head-turning emerald green color that is sure to enhance any dock! Finally, our Caribbean Blue Systems illuminate a beautiful ice blue that works great in crystal clear water. We’re more than happy to answer any questions that you may have so please feel free to use the Contact Us link to send us a message or give us a call at 855-347-4544 and one of our team members will be happy to help you!